Cruising Tahiti by passenger-carrying cargo ship you won’t find too many coconut palm-lined lagoons in the Marquesas Islands. Nor will you discover dazzling white-sand beaches circling teeny coral atolls barely rising above the South Pacific that Tahiti is famous for. It’s most unlikely you’ll come within a whisper of a thatched-roof overwater bungalow, the kind that appears synonymous with Tahitian holidays. If you’re anything like me, however, you may find a tombstone that makes an adequate, albeit odd, shelter from tropical Tahitian downpours. Far removed from the most populous islands of the Society Archipelago, the wild rugged Marquesas Islands are remote, isolated and mostly uninhabited. At 1,500 km north of the main island of Tahiti, they’re not that easy to reach either. Which is just how the 8,600-odd Marquesan inhabitants like it. Don’t get me wrong, renowned Tahitian hospitality underpins daily life in this remotest of archipelagos and visitors are warmly welcomed into the community. Marquesan people are rather proud of their strong Polynesian culture that has thrived in relative isolation. The first Tahitians were seafarers from southeast Asia, guided by wind, currents and the stars, negotiating the often misnamed boisterous Pacific Ocean in dugout canoes. Later, Europeans appeared on the horizon in more substantial sailing ships, having survived a rounding of notorious Cape Horn. Magellan, Bougainville and Cook read like a who’s who of legendary seamen to have landed on Polynesian shores unexpectedly. Life in the Marquesas has always been ruled by the sea. It’s no different today. With few air services connecting the twelve Marquesan Islands to the Society group to the south, islanders use the sea as an emerald highway. 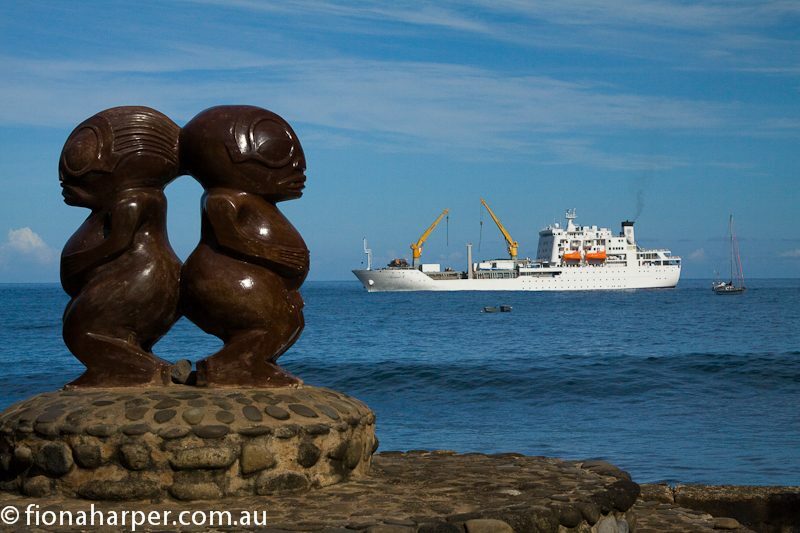 Aranui Cruises have operated an island trading service since the 1950’s but it wasn’t until thirty years later that freight traders started carrying passengers. With the arrival of 117m Aranui 3 in 2002, passengers these days are almost as important as cargo on scheduled voyages to the Marquesas. Almost. Departing from the Port of Papeete we leave Moorea to port heading northwards, weaving through the coral reefs and atolls of the Tuamoto Archipelago. We’ve two nights at sea which allows us to leisurely adapt to life onboard before our first landfall in the Marquesas. With accommodation for up to 200 passengers and 65 crew, Aranui 3’s route and schedule is dictated by freight. Whether dropping off or picking up, freight is king. 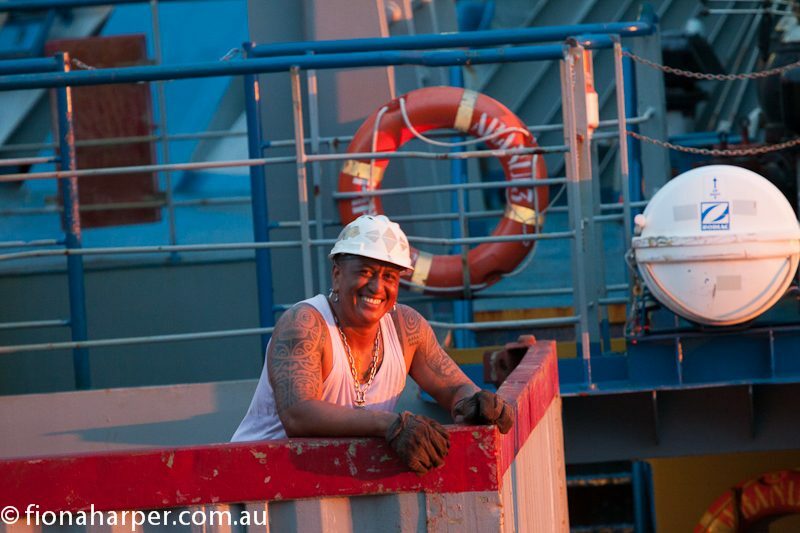 Heavily muscled, and equally heavily tattooed, crew work around the clock, often loading or unloading in the dead of night. Passengers tucked up in their bunks aft are barely aware of the action in the forward part of the ship. That’s not to say that passengers merely come along for the ride. Far from it. Passengers are an integral part of the voyage with villagers rolling out the welcome mat to showcase Marquesan lifestyle, culture and crafts. Shore excursions include hiking for the energetic, village visits, cultural demonstrations or Church visits if you arrive in port on a Sunday. Children from Ua Poa Island eagerly anticipate our arrival as they use mooring lines as a water playground which causes masses of hysterical giggling. It turns out that my fellow passengers are an intrepid lot: we spend the first couple of days at sea getting to know one another during meals or over convivial sundowners. It comes as no surprise to learn that many passengers dismiss regular cruises in favor of freighter travel. What’s the attraction I ask a lady from the United States who, making a last minute decision to travel is bunkered down in the communal dormitory but has friends travelling on the upper deck in a suite with balcony. “I’ve wanted to visit Tahiti for many years but was never really interested in those big flash cruise ships,” she tells one evening. “And this is so much fun!” she drawls, modeling the sunhat she created beside the pool in Palm Frond Weaving 101 class. My own hat turned out more like a vase than a sunhat so that it’s unlikely to see the light of day. Aranui 3 is not your regular freighter ship. For a start there’s a freshwater swimming pool surrounded by sun lounges. Indoors is a large air-conditioned restaurant, lounge with bar and a small library with computers. The main social hub of the ship is the upstairs bar and aft deck where we gather late afternoon to enjoy blazing scarlet sunsets washed down with cocktails or the local Hinano Tahiti lager. On day three I’m up before dawn to see our first Marquesan port of call which is the village of Omoa on the island of Fatuiva. Fatuiva is all rugged peaks, forest-clad gorges and plunging cliffs that rise theatrically from a cobalt blue Pacific Ocean. With a rising sun sending shafts of sunlight down into the valleys, it’s an extraordinary welcome. Clambering down the ladder-like gangplank burly crewman grasp my forearms and propel me into the waiting passenger barge. Despite the rolling swell, I feel totally safe in the hands of these sailors who are quick to laugh and put passengers at ease despite rather fearsome-looking traditional facial tattoos. Those of us with energy to burn hike up the mountain to the summit of Mt Teamotua while the less energetic ride in 4WD’s borrowed from local villagers. We savor a picnic lunch the crew has prepared for us before we carry on downhill to complete the 16km journey to Hanavava village. 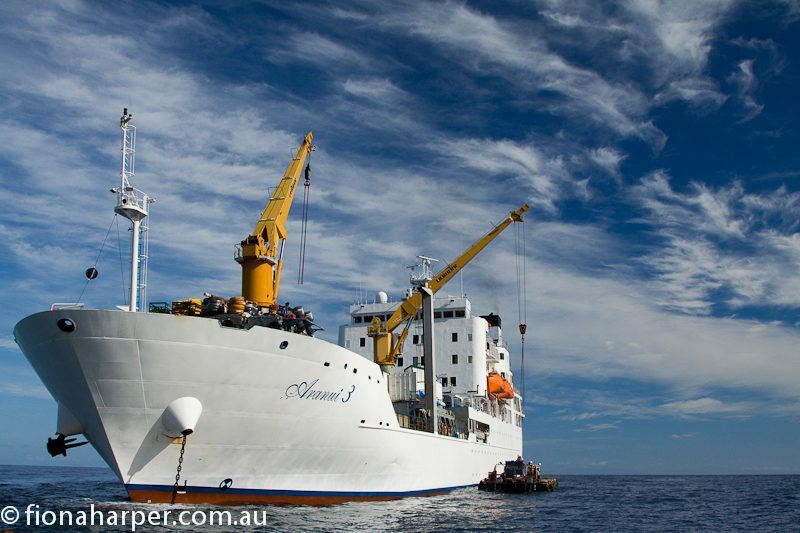 Meanwhile, Aranui 3 has completed cargo operations and steamed to Hanavava. The entire village turns out to greet us with songs and dancing on the foreshore before we hop back in the barges and return to our ship. 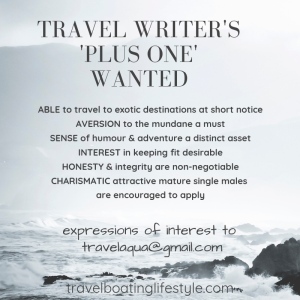 So what’s the attraction of travelling on a working ship? Freighter travel is definitely about the voyage suitable for independent souls who are flexible and adaptable. Schedules may change due to weather or freight demands. Delays may keep the ship in port longer than expected, or scheduled ports may be bypassed entirely. Which of course is all part of the adventure. If you’re the kind of traveler who can’t ‘wing it’ a bit, then perhaps you’re on the wrong ship. I’m reminded of this as I disembark at the village of Atuona on Hivaoa Island. 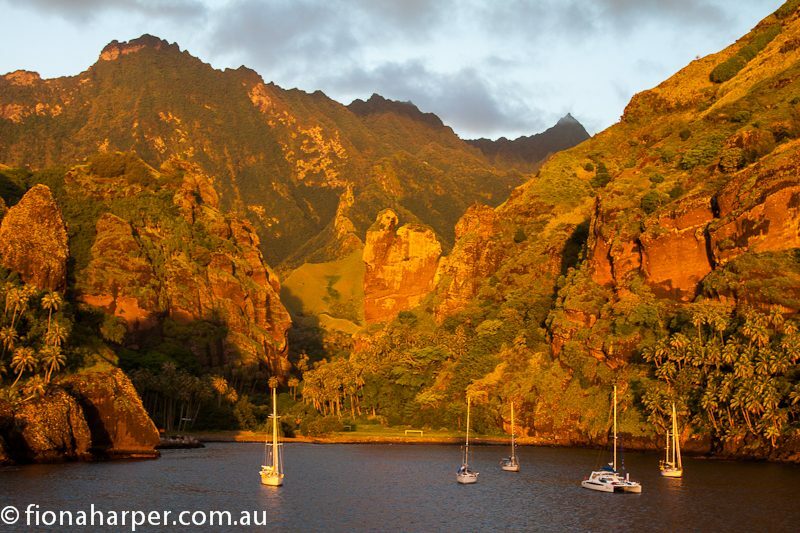 Sharp jagged peaks of Mt Temetiu rise almost vertically out of the sea to dominate Hiva Oa. Artist Paul Gauguin is entombed high on the ridge in what must surely qualify as the most picturesque burial location on the planet. Optimistically walking up to Calvary cemetery while trying to ignore ominous rain-filled clouds looming over craggy tors, I don’t have time to find Gaugin’s headstone before the skies open with vengeance. I soon realize there’s not much shelter in a cemetery so I scramble beneath a tin-roofed tombstone while I wait for an intense tropical downpour to pass. Which takes quite some time. The rain lasts so long in fact that I begin to worry about missing Aranui 3’s departure and wonder whether I should just bolt back down the hill to the dock. The rain stops as suddenly as it started to be replaced by rising steam once the sun comes out again. Bemused at having sheltered on a tombstone, I offer a silent thanks to the gentleman on whose memorial I’ve been resting before finding Gauguin’s grave. Having spent a good hour or so admiring the Pacific Ocean vista I can understand what lured this troubled artist to these shores. I’m half tempted myself to take up residence.